Rent A 500 will be attending the Wraysbury Village Fair 2018 on the 16th June from 1.30pm til 5pm. 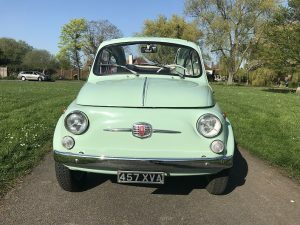 This is a great opportunity to meet our beautiful classic 1962 FIAT 500 convertible! ← Great day at Auto Italia!